READY TO JOIN A COLLABORATIVE TEAM? 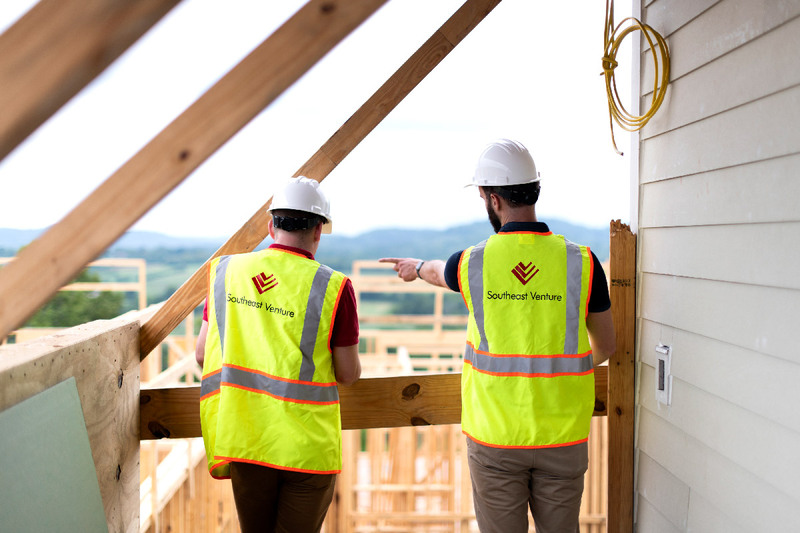 Southeast Venture takes pride in our company’s heritage, the opportunities we create today and the lasting impact our work is having on the urban fabric of Nashville and Middle Tennessee. We will continue our influence with passage to the next generation and beyond. If you are energized by innovation and want to work in a culture built around mutual respect and trust, please consider Southeast Venture. Based in Nashville, Southeast Venture is an award-winning Design and Development firm of 40 employees, 14 of which comprise Design Services. With 10 architects and 4 interior designers, the design team focuses on a vast range of project types and sizes including multi-family, urban mixed-use, healthcare, retail, office, and master planning. The office atmosphere is studio-driven and team oriented, providing experience in all stages of a project, from site acquisition to construction administration. Our multi-disciplined approach to real estate, design, and development provides a higher quality of service that is not just seen through great design, but through our lasting relationships with our clients. 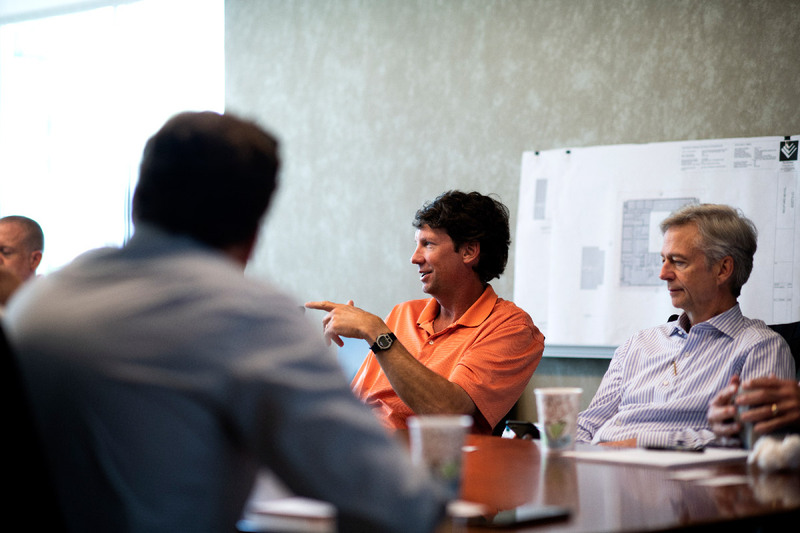 Southeast Venture is hiring for an experienced full-time Architectural Project Manager/Project Architect with 3-5 years of experience. Project managers are involved in all phases of project development and will provide direction to colleagues and consultants to ensure the project is completed on schedule, in budget, and to the owner’s satisfaction. A Bachelor’s or Master’s degree in Architecture from an accredited university. At least 3-5 years of experience in an Architectural firm setting. A Healthcare design background is preferred, but not required. 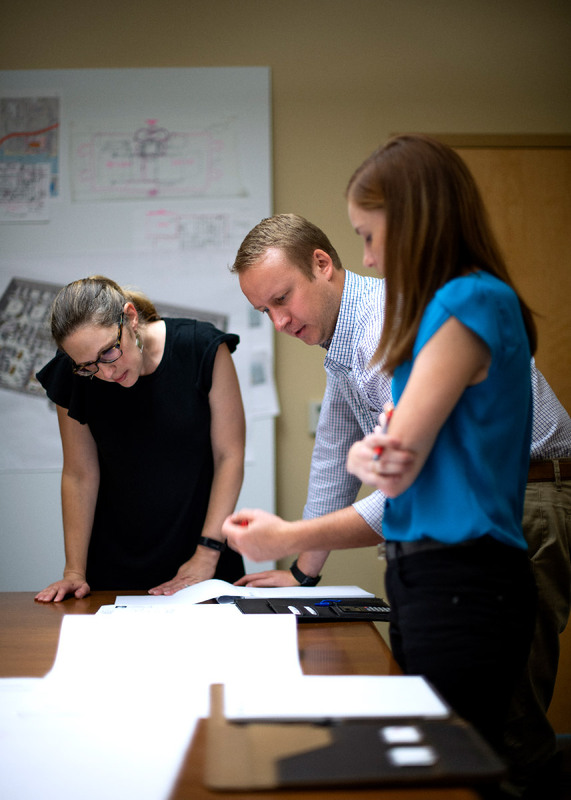 Lead design teams in the development of projects from conceptual sketches through construction documents with a collaborative, proactive, and detail-oriented approach. Interpret and apply relevant building codes. Provide consistent and timely communication of project information to and from clients and the design team. Produce well-thought-out and aesthetically pleasing design. Produce complete and detail-oriented construction documents. Act as primary point of contact in construction administration for various projects. Foster and maintain positive professional working relationship among clients and team members. Assist in preparing, participating, and leading client presentations. Develop and maintain positive relationships with clients and consultants. Ability to work in a collaborative team environment to meet specific deadlines. Active involvement in project production and coordination with the diligence to identify potential problems. Perseverance in thorough troubleshooting and creative problem-solving. Expertise in architectural building systems. Effective communication skills to prepare and deliver presentations. Firm understanding of design trends, construction methodology, and material application. Benefits include: competitive salary; full health, dental, life, short-term disability, long-term disability insurance; paid leave, and a 401(k) plan. To apply for this position, please send your resume and portfolio and/or work samples to Beau Brady, bbrady@southeastventure.com. 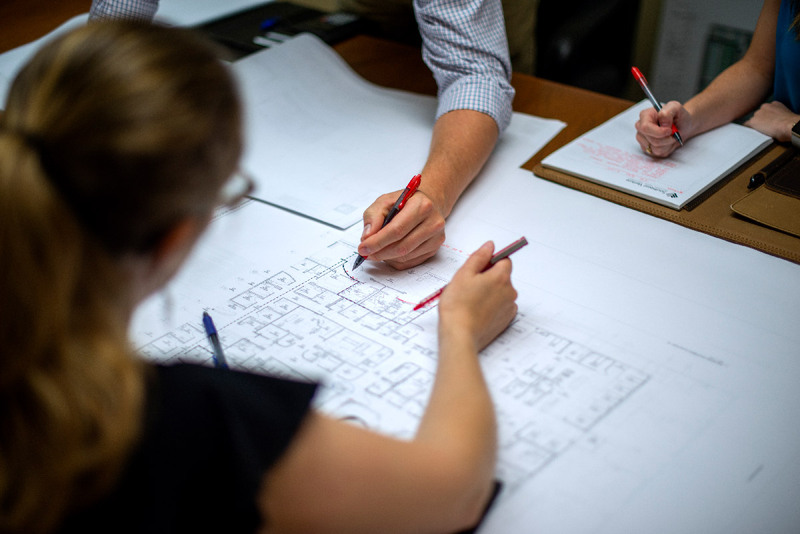 The design team focuses on a vast range of project types and sizes including corporate, multi-family, urban mixed-use, healthcare, and master planning. This diversity in project type ensures team members always stay engaged. The office atmosphere is studio-driven and team oriented, providing experience in all stages of a project, from programming to construction administration. Candidates for the Designer position must possess strong organizational skills, work well with strict deadlines, and be willing to participate and thrive in a team environment. They should be able to work on multiple projects at once. The best suited candidates must have strong communication skills, the ability to adapt to different working environments, and a good sense of humor. The Property Manager (PM) is responsible for overseeing the day to day operation for commercial buildings owned or under third party management by Southeast Venture. Our PM’s are expected to manage a portfolio of multiple properties, typically totaling approximately 500,000 SF of commercial space. The PM should have a basic knowledge of all aspects of the properties they manage, including financial reporting of income and expenses for real property, various types of lease structures and their administration, and the ability to manage and assess the recommendations of experienced professionals in technical areas including HVAC, electrical, plumbing, elevator repair and maintenance for the maintenance and operation of a commercial building. Prepare an annual operating and capital budget for each managed property, under the direction of the senior property manager or Principal in Charge. Review and have a basic understanding of a commercial lease and its provisions to administer and ensure the Tenant’s compliance, including tenant’s timely payment of rent and other charges, maintenance of insurance requirements, required by the tenant leases. Produce monthly operating reports explaining variances between actual and budgeted revenues and expenses and any other pertinent information about each property. Review, approve and code invoices for our in-house accounting department to maintain accurate records of accounts payable. Manage the repair and maintenance work of third party vendors for each property, including HVAC, elevator, plumbing, electrical, security and access, fire alarms and landscaping maintenance and any other building equipment or system, bidding this work as necessary, and ensuring vendor compliance with insurance requirements and appropriate conduct on the property. Direct and manage the efforts of our in-house maintenance personnel, understanding when a maintenance issue must be performed by an expert. Be on call for emergencies after hours as necessary or available for scheduled maintenance work which must be done before or after normal working hours. Maintain property database for building tenants and owners’ associations. Production, distribution and collection of invoices for certain limited property types. Be the main point of contact with the Property Owner and tenants. Work closely with the leasing team to promote marketability of the properties. Be available for property showings with leasing team. Provide construction management for tenant build out projects and general building improvement projects, including bidding, negotiation and administration of construction contracts. Minimum two years’ experience as a Property Manager, or 3 or more years’ experience working in a related commercial real estate service industry. Must be a “self-starter” with the discipline to manage your time without constant supervision. You should expect to spend approximately 25% to 40% work away from the office at the properties managed. The ability to successfully manage conflict situations which can arise in a Landlord/tenant relationship. Ability to manage multiple responsibilities at one time under pressure. A thorough understanding of a various types of commercial leases, including net, gross, modified gross, etc. Experience in property management software, such as Yardi or Timberline and a bill payment software such as Avid Exchange. A high technical aptitude including an understanding of HVAC, electrical, plumbing, fire protection, security, elevator and other building systems. Experience in the management of general construction projects, primarily for Tenant Build Out work. Experience in the management of property owner associations, either commercial or residential. WANT TO INQUIRE ABOUT OTHER OPPORTUNITIES?